Now unless some miracle causes this blog to become quite popular from Day 1, anyone reading this post came across it sometime in the future and was curious how it all began. Either way, this the first of I hope many posts for wildcardweather.com, a blog for weather enthusiasts who want to read some weather news, see some cool photos, and learn some cool facts about weather. The topic of my first post is my header photo. Most likely by the time you are reading this the header has changed, so here again is the photo. I took this photo in March of 2012 near my home in Boston. It’s pretty likely you’ve seen a cloud formation similar to this at one point. 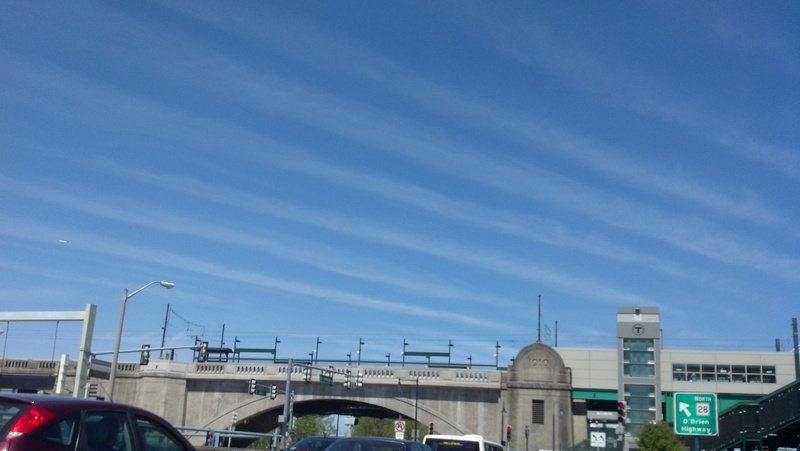 Any time you see parallel lines of clouds they are given the designation undulatus, as in undulating, or moving in a wave-like motion. A more common term for these are billows. The process of cloud formation is too big a topic to cover here, but rising air is necessary. In the case of undulatus clouds, there are alternating strips of rising and sinking air. The cause of this is a difference in wind speed with height, known as shear. At the boundary between the layers the air mixes by a series of rolls. The wind in this picture is perpendicular to the billows and pushes them downstream. 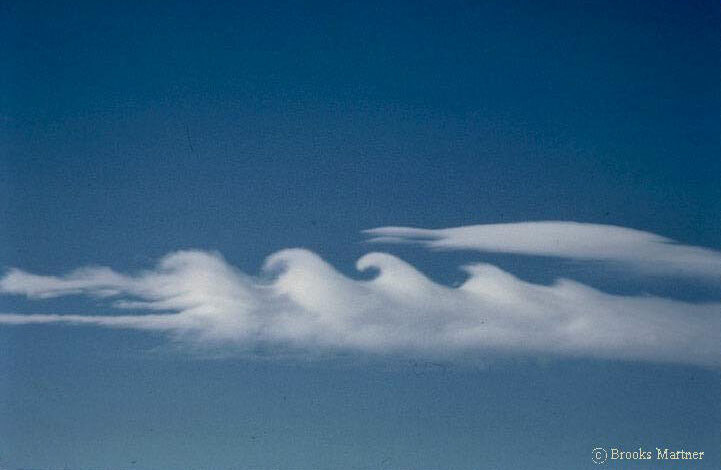 Kelvin-Helmholtz waves, caused by the mixing of air between two layers of air with different wind speeds. In the Kelvin-Helmholtz case there are already clouds in the lower layer. This pattern forms when air begins to turn over with the layer above, most likely because that upper layers has faster winds. Although the mixing continues, this pattern in only visible for a few minutes. There’s so much to talk about already. Shear is sure to come up again and cloud physics is a personal favorite of mine. Thank you for reading this first post of wildcard weather! A similar pattern can be created by air passing over a mountain range. I’m hoping to cover this in a later post.